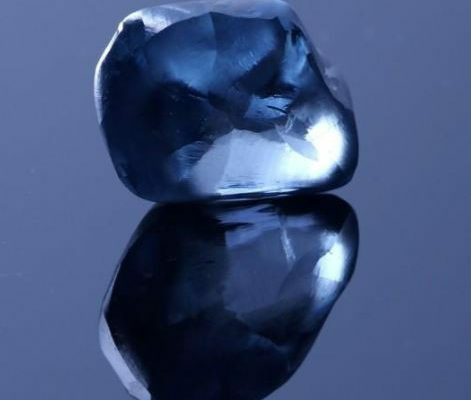 Botswana’s state-owned Okavango Diamond Company displayed a 20-carat gemstone on Wednesday that it said was the largest blue diamond ever discovered in the country, one of the world’s top producers of natural stones. Blue diamonds are sought after for their colour and rarity. The 45-carat Hope Diamond is probably the best known. The company, known as ODC, announced the discovery of the Okavango Blue, a polished oval-cut stone, at an event in Botswana’s capital, Gaborone. It said the stone was graded “fancy blue” with VVS2 clarity, meaning that it contains only minute imperfections. Ter Haar did not offer an estimate of the diamond’s value. The Okavango Blue was discovered last year at the Orapa mine, operated by Debswana, a joint venture between Anglo American’s De Beers and Botswana.